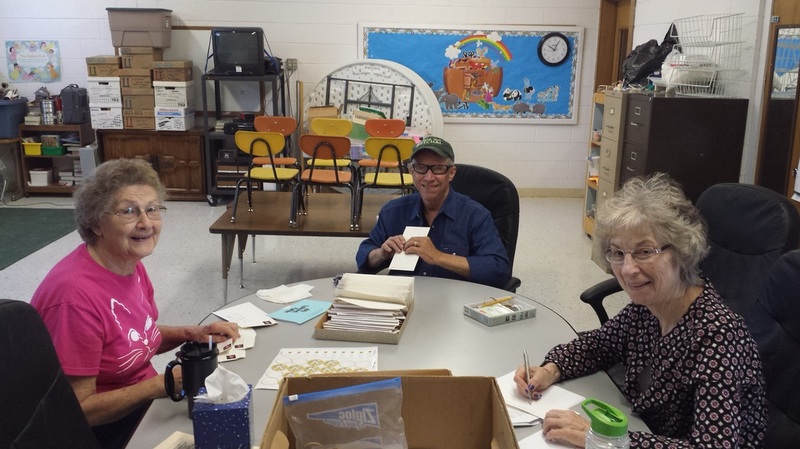 The Cherubs meet weekly on Tuesday mornings to write cards to people who are hospitalized, injured, sick, or grieving. They also send copies of the weekly announcements and sermons to homebound members. This ministry is a legacy of Paul and Lucille Streeb who initially funded, supplied, and performed the tasks. It is carried out by a small group of volunteers who are committed to keeping our homebound, sick, and grieving members connected to church and worship.